Angelini Farmacêutica is a market leader in pharmaceutical and parapharmaceutical products, and well being. With operations in Algés and Vila Nova de Gaia, has approximately 260 Employees. Regulations imposed by international authorities and Infarmed, conditioned the creation of surveillance methods, reporting adverse effects and reactions of medicines along with periodic safety study reports. Find a quick implementation solution with ongoing adaptation capabilities to the context and dynamics of Angelini’s business. OutSystems has proven to be an incontestable and differentiating technological platform, allowing companies to create and modify applications in exceptionally reduced time-frames and operating them at costs extremely inferior compared to the traditional industries. The solutions were implemented in 6 weeks. Angelini Farmacêutica is a subsidiary of Angelini, a medium-sized Italian international group, centered in the creation, distribution and commercialization of pharmaceutical and parapharmaceutical products. The Portuguese operation is committed to streamlining the marketing of products in the areas of health and well-being. 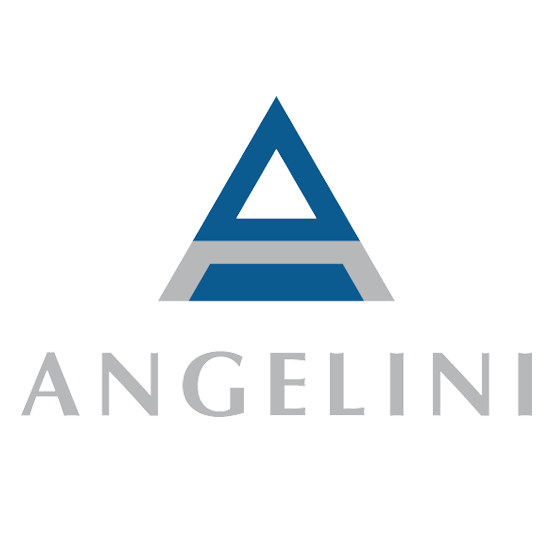 Angelini Linha Infantil, operates with its own structure in Italy, Spain and Portugal having secured an alliance with CSC Pharmaceuticals for Western European markets and a stake in Elder Pharma, an important Indian company. It specializes in pain therapy, in neurological physiotherapy, in gynecology, on antibiotic therapy and colds. Its products are represented in more than 60 countries through a network of licensed partners and strategic agreements with local businesses target markets. From prescription to generics, self-medication, parapharmaceuticals, physiotherapy and healing and personal hygiene products, Angelini’s offer is one of the most complete and qualified in the well-being market. Angelini is the market leader in Italy, with a joint venture with Procter & Gamble in baby diapers and sanitary towels segment. ” Apart from the speed with which they are being implemented, these solutions provide us total flexibility. Due to its direct impact on public health, the pharmaceutical market is an area where regulation and supervision of products is crucial, demanding and monitored. There are a number of regulatory and health authorities who supervise and enforce the compliance of presence and performance rules in the pharmaceutical market. Globally there are FDA (Food and Drug Administration in the United States), Health Canada, Therapeutical Products Directorate and the EMEA (European Agency for the Evaluation of Medicinal Products of the European Community.) In Portugal, INFARMED is responsible for evaluating and inspecting the pharmaceutical activity, ensuring and communicating the results of surveillance of medicines and health products to the EMEA. Based on the highest accuracy and quality which has always been associated with the culture and history of this pharmaceutical, there was the need to implement a solution that not only met all the standards required by the competent authorities, but also correspond to the internal objectives of the Pharmaceutical Quality and Safety Pharmacology areas. It was essential to implement a solution (web-accessible) that would operate a pharmacovigilance system in the context of adverse reactions and medication (RAM), with its delivery to INFARMED in electronic format, and a second that would managed the «register of samples». Within the Pharmacovigilance, the need derived from the requirement to manage Periodic Safety Update Reports (PSURs) and reporting Adverse Drug Reactions (ADR). The management of the RMA is made under the ICH E2B M Standard, in order to generate and import XML files in accordance, to be sent to INFARMED. As regards the registration of samples. It was crucial to obtain the computer record, in real time, of the samples given to doctors by medical sales representatives (MSR). If needed to identify a sample or a lot, it would be necessary to quickly locate it and remove it from the market. ” The need for compliance with national and international pharmacovigilance organizations, coupled with increasing efficiency and performance, are forcing the pharmaceutical industry to improve its business processes with current and technologically advanced tools. It was urgent to find a solution of rapid implementation and with ongoing adaptive capacity to the dynamics of Angelini’s business. It was in this context that Infosistema formed a strategic partnership with Outsystems to respond to the problem. As an Outsystems Gold partner, Infosistema demonstrated its vast expertise and certification in this technology to large clients, among which included the INFARMED itself. Outsystemas affirmed itself as an undisputed and differentiating technology platform, which will allow companies to not only create and modify applications in an exceptionally short time, but also operate them at much lower costs. The applications could be easily changed throughout their life cycle, with very low risk. The platform flexibility assured the alignment of systems with business needs, making the IT departments in extremely agile solutions delivery centers. With the OutSystems Hub Edition platform, Angelini could create and modify applications very quickly, significantly reducing its time-to-market. Infosistema and Outsystems accompanied Angelini during the identification phase of its needs and the design of the solution, in order to guarantee services, perform tests, train users and perform initial monitoring. The solutions were developed based on Outsystems technology and implemented by Infosistema in six weeks. The OutSystems Hub Edition platform allows you to develop collaborative applications, which can be integrated with existing systems. It also offers new user interfaces, accessible from personal computers (by Internet browser or email) and mobile devices (SMS, WAP, i-mode, PDA, etc.). This platform supports the entire life cycle of applications, ensuring a rapid creation and modifications in real time, to meet new business needs and processes. RPS management form including its generation based on XML model. Import Excel File Form with delivery data to Medical Sales Representatives (MSR). Registration form of deliveries made to doctors. Enterprise Manager: is the central node in the architecture of the solutions developed in OutSystems technology. It provides an integrated back-office for all OutSystems applications and external, which gives it a business vision providing an entrepreneurial vision. Certification of quality management system based on ISO 9001:2000. OutSystems is a software company that provides the All-in-one Agile Suite. Market leader, this is the first solution that responds to the full life cycle of delivering and managing web business applications, based on flexible methodologies. Maintenance of applications achievable by teams with drastically different know-how from the one currently required in the development of collaborative applications. The OutSystems Hub Edition platform allows the maximization of the platform in future projects, with financial and operational benefits to Angelini. For example, in the future, you can share the base hardware and software, opening the door to a unified management of projects awarded at different times and by different companies. OutSystems technology substantially reduces maintenance costs and makes the infrastructure of different projects more profitable. The flexibility provided by OutSystems Hub Edition platform solves a major problem in the creation and maintenance of software systems: the difficulty in establishing an iterative process that allows permanent changes, through user feedback on business requirements. These requirements are usually diffuse and changeable. Consequently, the ease of modification is a powerful asset. When combined with the proposed method, the OutSystems Hub Edition platform creates a software which is flexible and adaptable to the creation and maintenance cycle, without increasing the risks associated with the project. In terms of technology, it is precisely here that we find many of OutSystem’s and its patents differentiating features (currently pending).